SeaWorld Orlando rescued a manatee back in June from Sykes Creek. The manatee had severe injuries to her right front flipper by a crab pot line, which was later amputated. She also had fishing line wrapped tightly around both her flippers. When she was rescued, she weighed 1,380 pounds. The SeaWorld rescue team suspected she might be pregnant. Come to find out, she was! Six weeks later, she gave birth to a healthy male calf. SeaWorld released the rescued manatee and her two-week old calf back into Sykes Creek on Thursday morning. After the two began to bond and the calf started nursing, SeaWorld’s vet team felt the two would do well on their own in their natural environment. 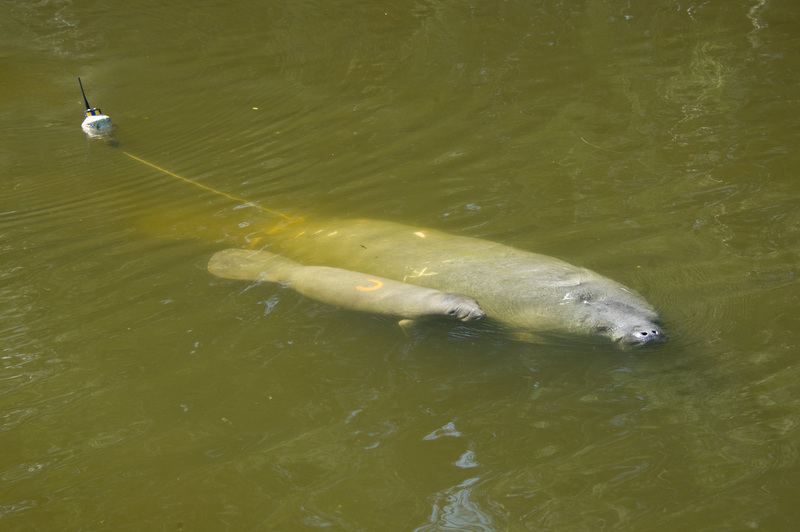 Here’s some more photos of the manatee and her calf being returned to their habitat.